You'll get in some beach time at John D. MacArthur Beach State Park and Fort Lauderdale Beach. Get in touch with nature at Loggerhead Marinelife Center and Fishing Charters & Tours. 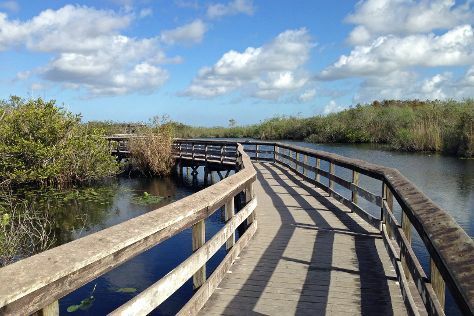 Change things up with these side-trips from Fort Lauderdale: Everglades National Park (in Florida City), Everglades National Park (Anhinga Trail & Shark Valley) and Everglades Alligator Farm (in Homestead). There's still lots to do: look for all kinds of wild species at Wakodahatchee Wetlands, see the interesting displays at Bonnet House Museum and Gardens, and browse the different shops at Bayside Marketplace. To find traveler tips, maps, reviews, and other tourist information, you can read our Fort Lauderdale trip itinerary maker website . May in Fort Lauderdale sees daily highs of 86°F and lows of 74°F at night. Wrap up your sightseeing on the 16th (Thu) early enough to travel back home.